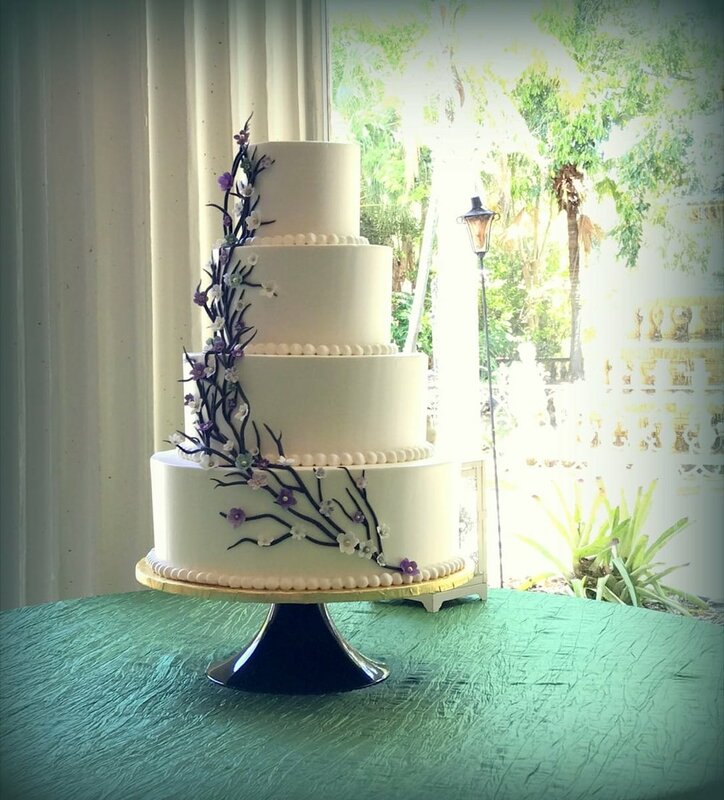 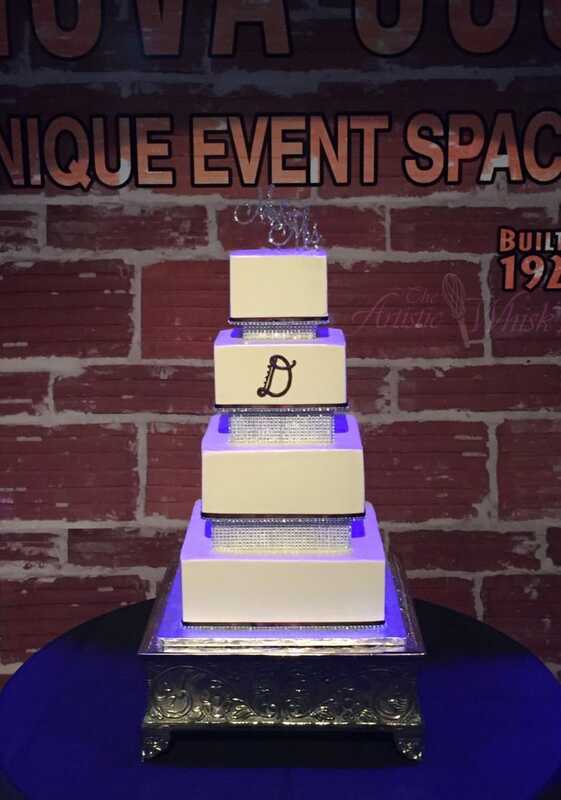 All of our wedding cakes come iced in our European-style, Swiss Meringue Buttercream. 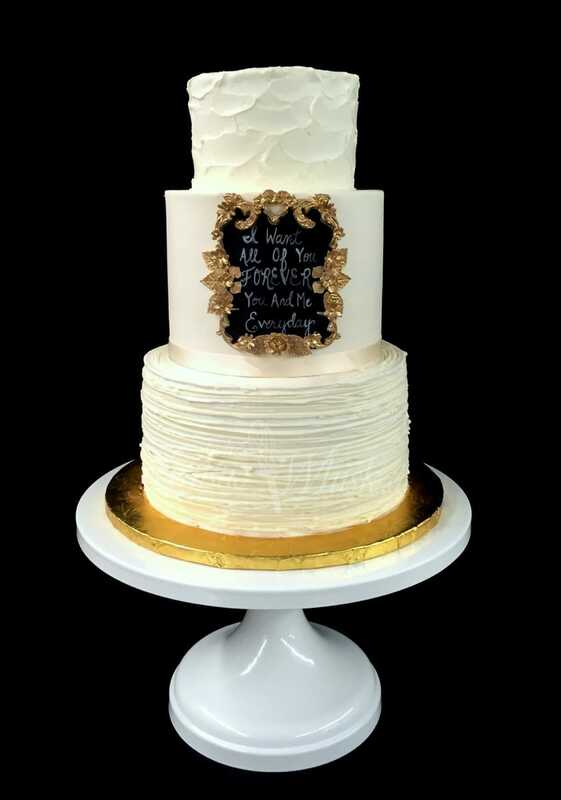 We make it from scratch using only Butter, Sugar, and Egg Whites, and it is designed to be ultra smooth, less sweet that traditional American Buttercream, and the best part is that it melts in your mouth :) Our team is highly skilled in making sure that our cakes are iced extremely smooth with clean, crisp lines, giving the appearance of fondant without compromising the flavor or texture of your cake. 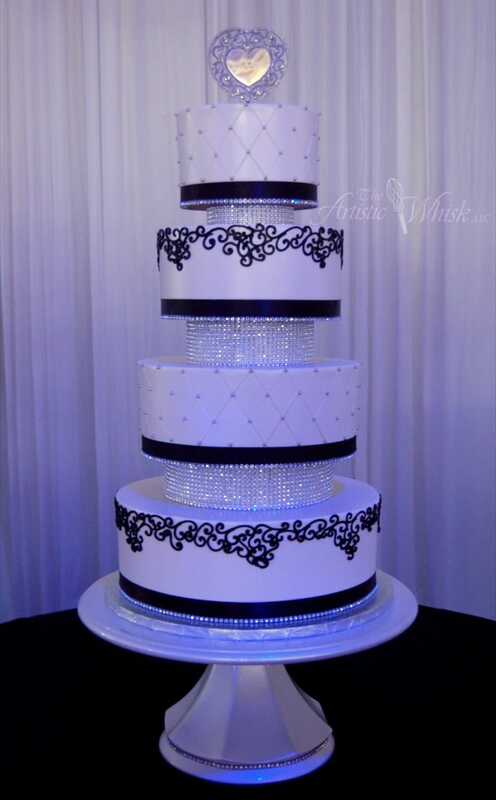 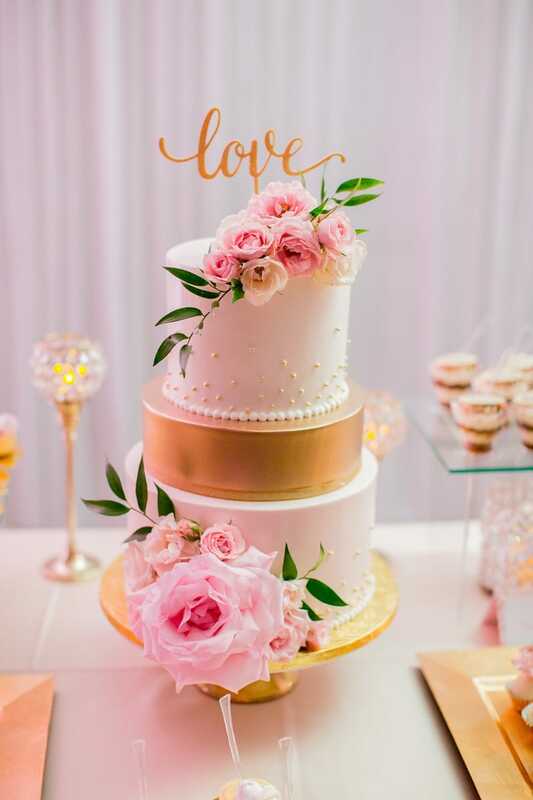 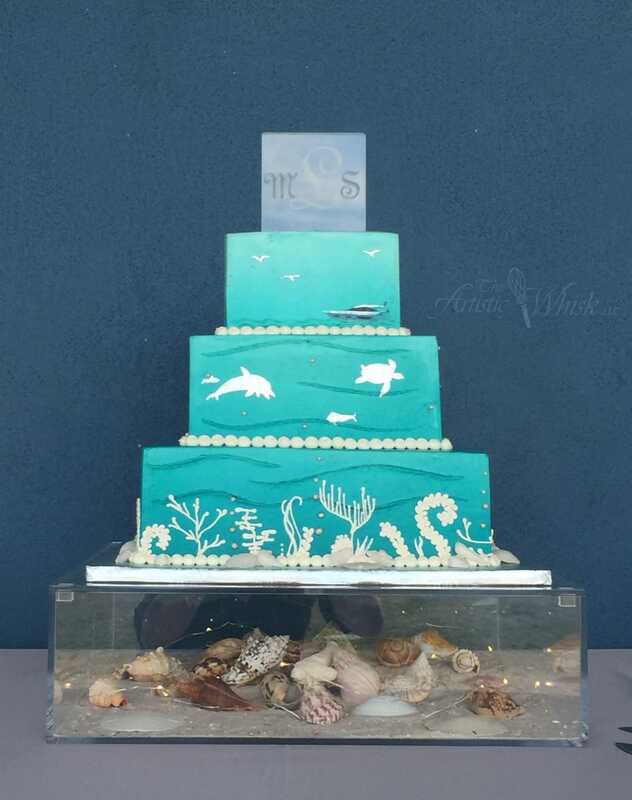 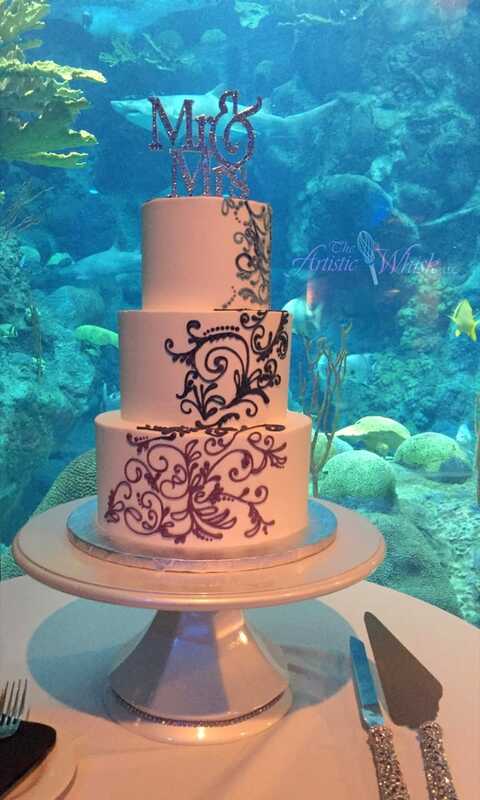 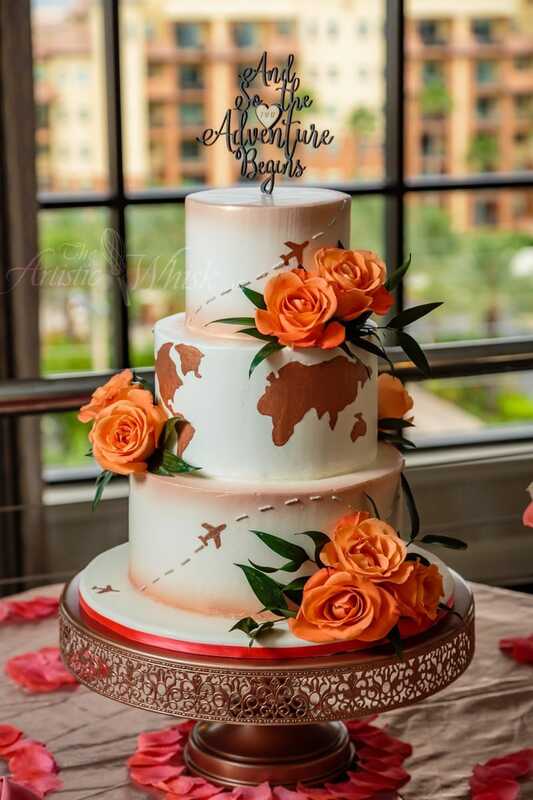 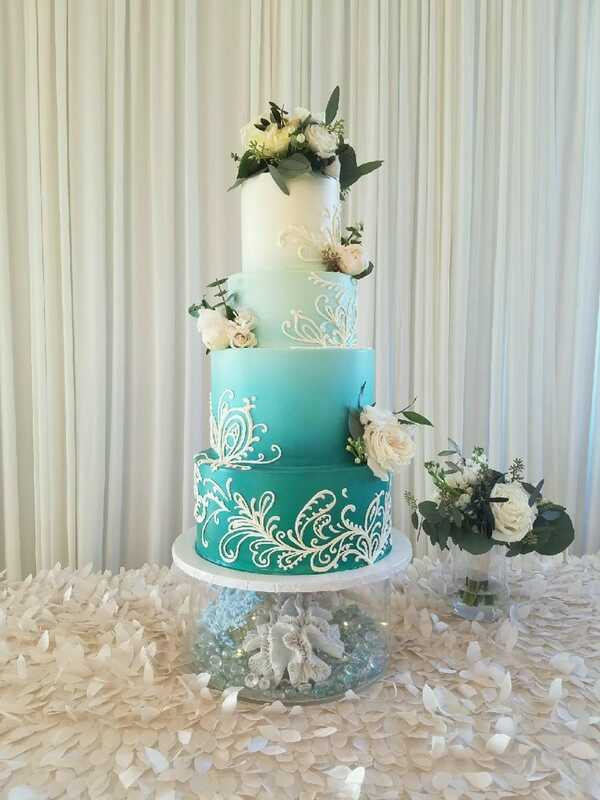 Most of these designs and styles in this gallery are included in the price of our wedding cakes.